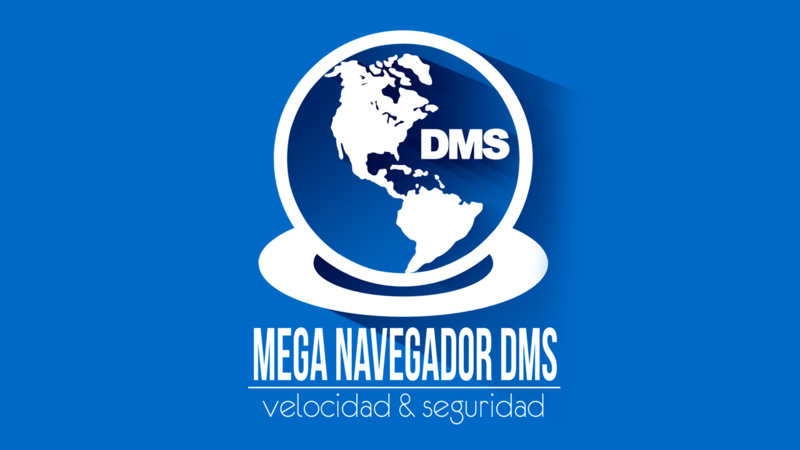 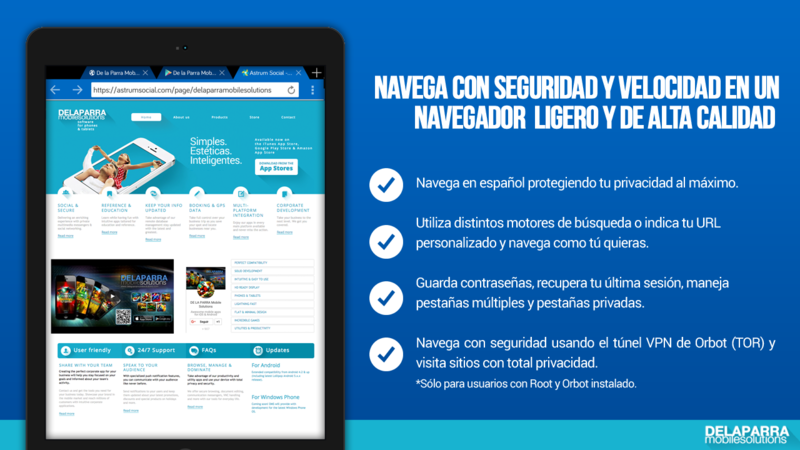 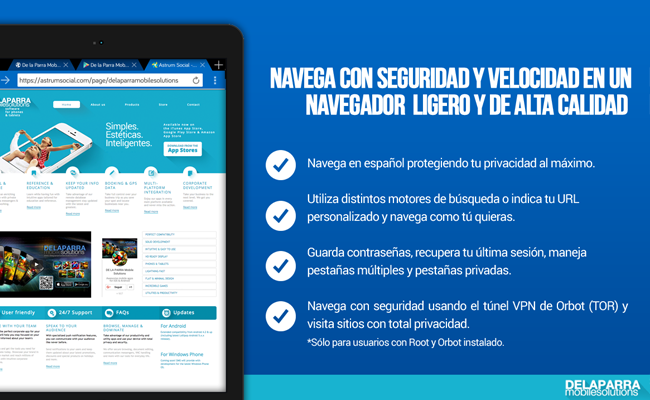 Browse for free and mega secure with a fast, simple & super light Android browser in Spanish. 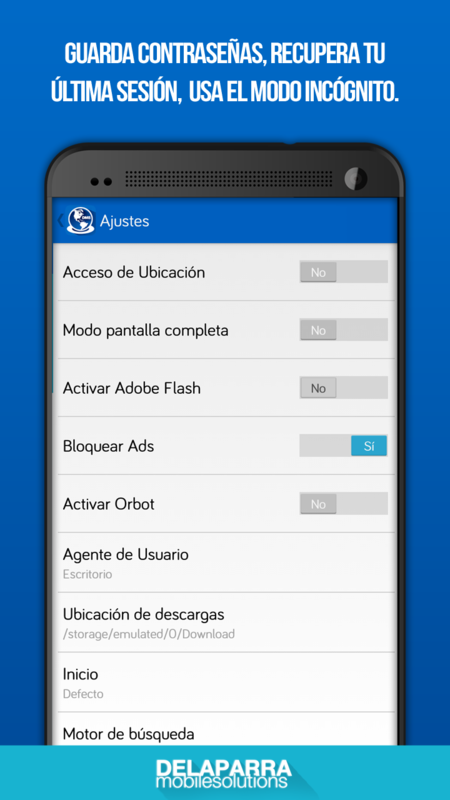 Multiple tabs, bookmarks, private tabs, high speed browsing & even bridge your browsing with Orbot for TOR VPN browsing (optional for rooted devices). 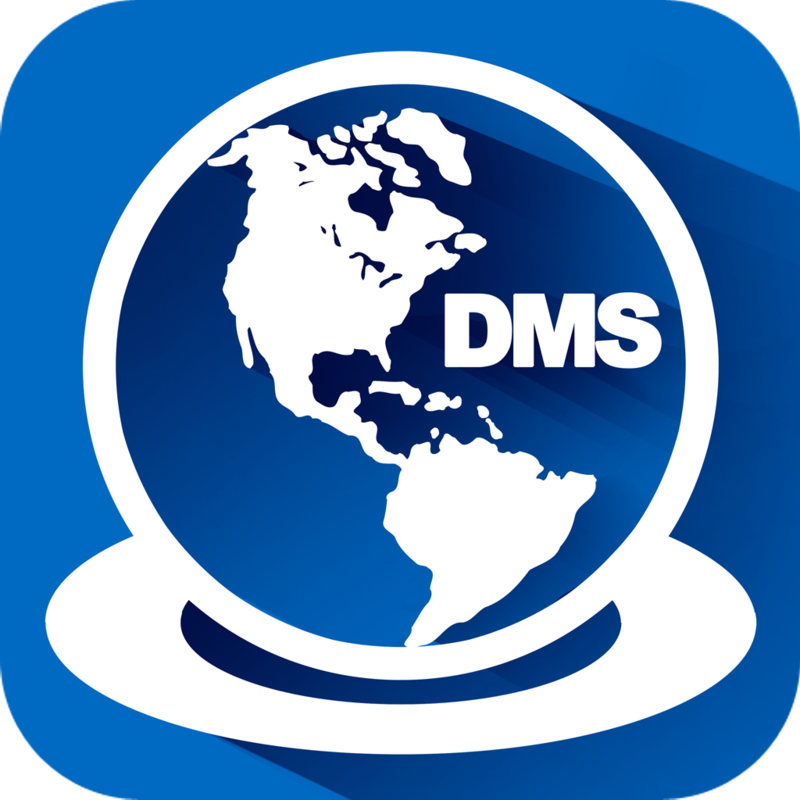 Enjoy searching with many search engines for enhanced privacy, customization & browse as mobile, desktop, normal or custom mode using our different agents. 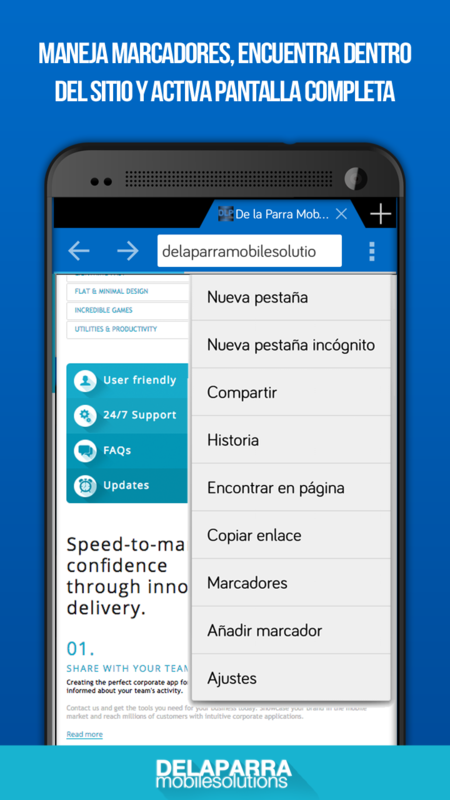 Take your mobile browsing to the next level! 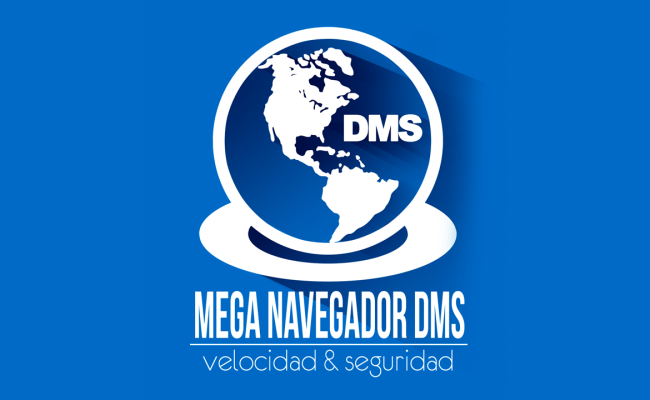 Manage advanced features and make Mega Navegador DMS yours with extended search engine options using Google, Duck Duck Go (Normal & Lite), Yandex, Bing, Yahoo, Android Search & Baidu. 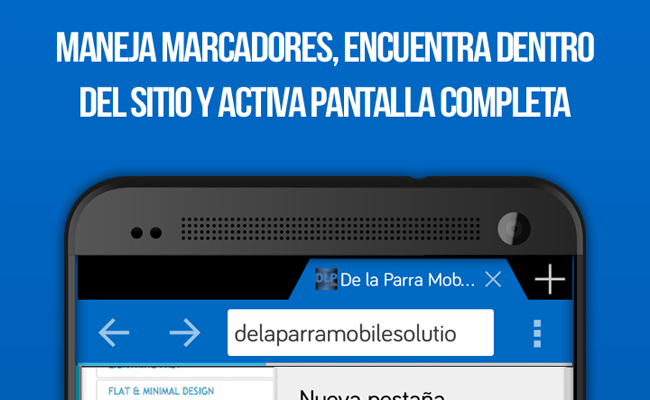 You can even use a custom URL for a personalized search! 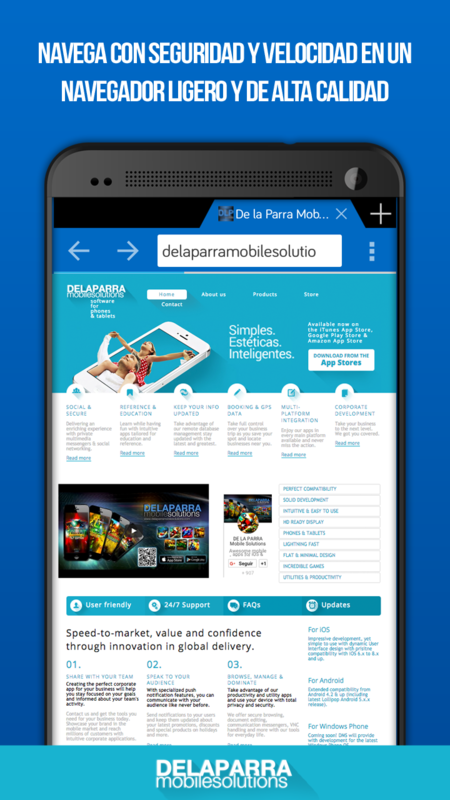 Download files with ease, play videos, adjust views and browse in full screen mode, hide task bar and many more features to completely dominate your browsing experience. Extend your browsing security with our app which is compatible with most Android devices and screen sizes! 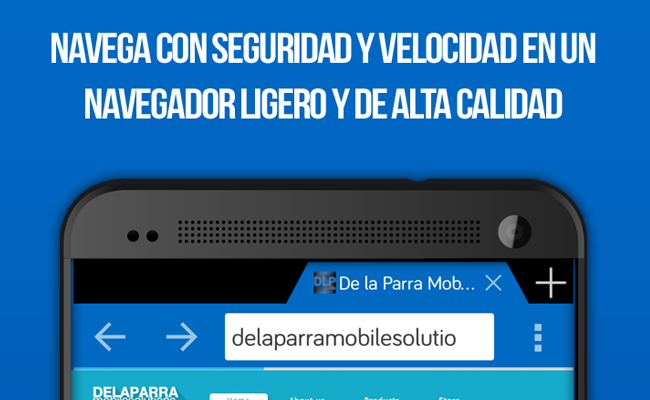 Only the best free security & browsing apps with DE LA PARRA Mobile Solutions.